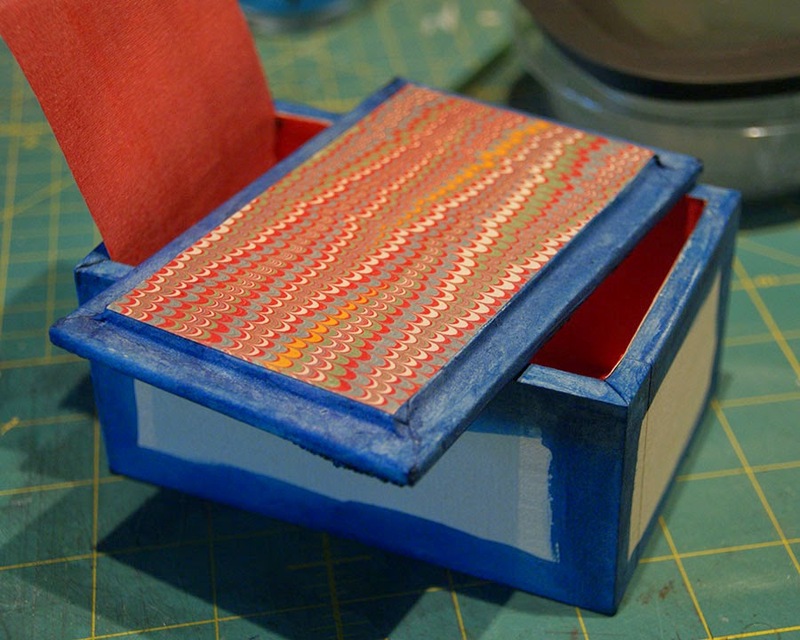 I have covered my trinket box in the period correct manner of wheat paste and wonderful handmade paper. Tricia's video instructions made it easy. After that point I have deviated, went to the dark side, became not PC (not period correct) in other words returned to Janet's World. I dyed the edges with all purpose ink in a shade of blue that matches the edge of the top embroidery. 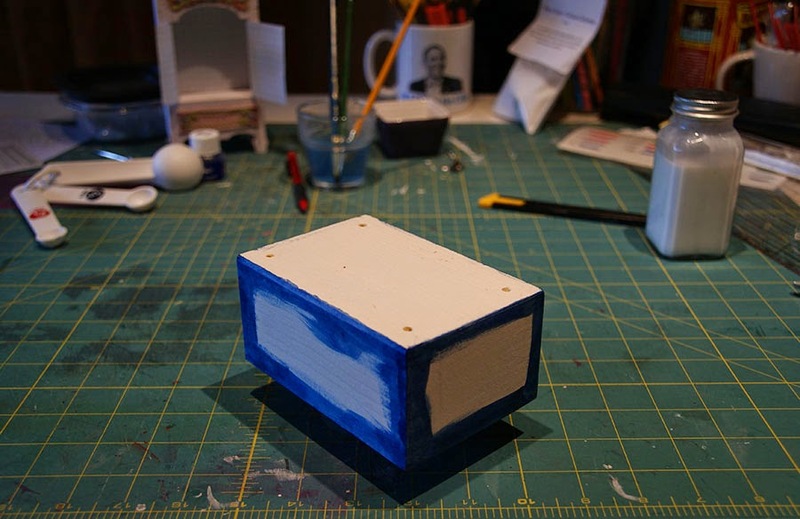 And I have painted the edges of the box. 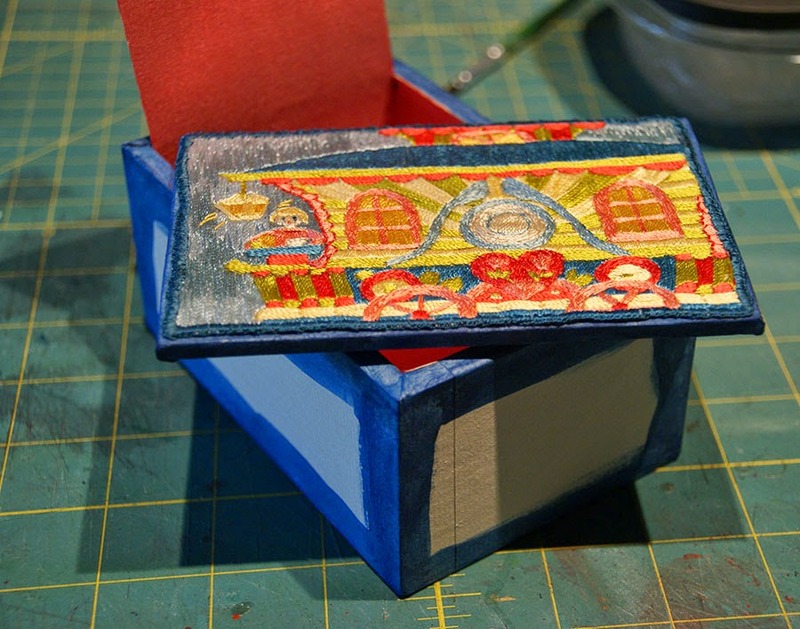 The whole purpose of the Trinket Box is to try out all kinds of new techniques on a small scale before you commit to something for the casket. Well, I've already committed a few ideas so I thought it was time to see if they will work. 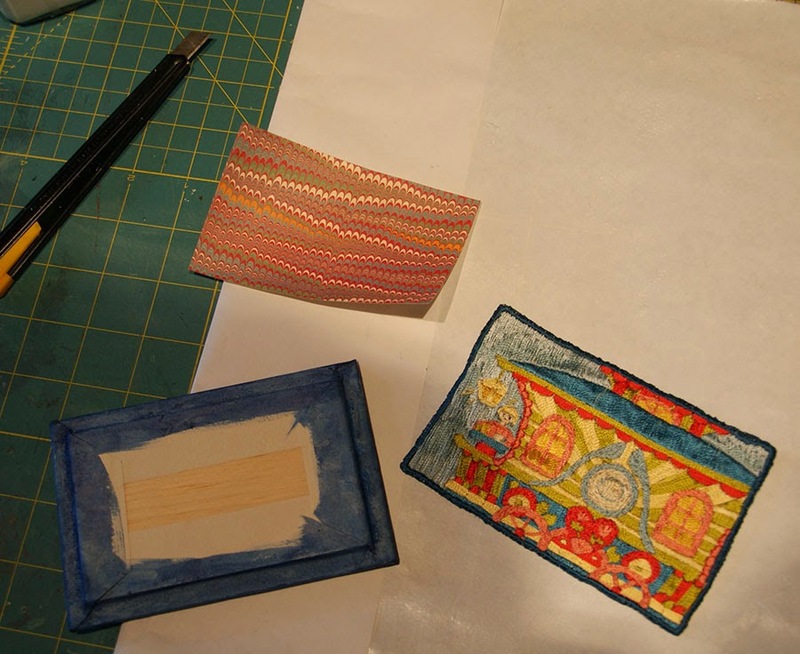 Here is the inside of the lid with the marbled paper that came with the class. 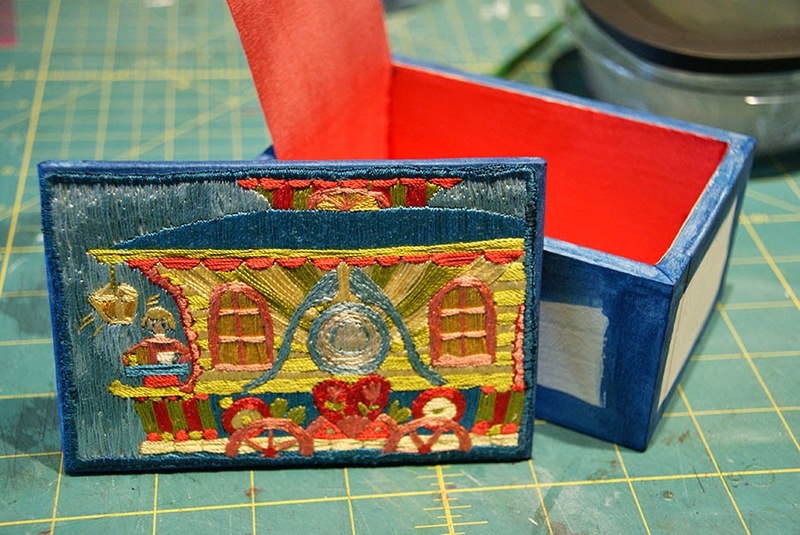 And here is the outside of the lid with the embroidery in place. This piece is finished with blanket stitches all around. I won't need the silver tape. Very good indeed - luscious and rich and intricate!